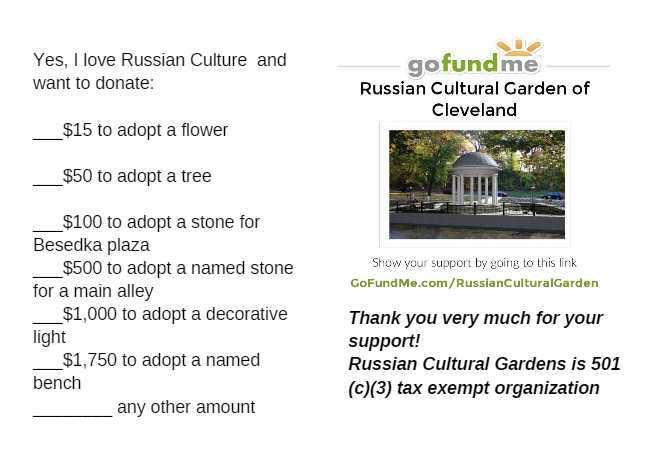 The Russian Cultural Gardens is a non-profit, tax exempt 501 (c) (3) organization dedicated to promoting the Russian Heritage and Russian cultural influence in America. Please, support our cause . 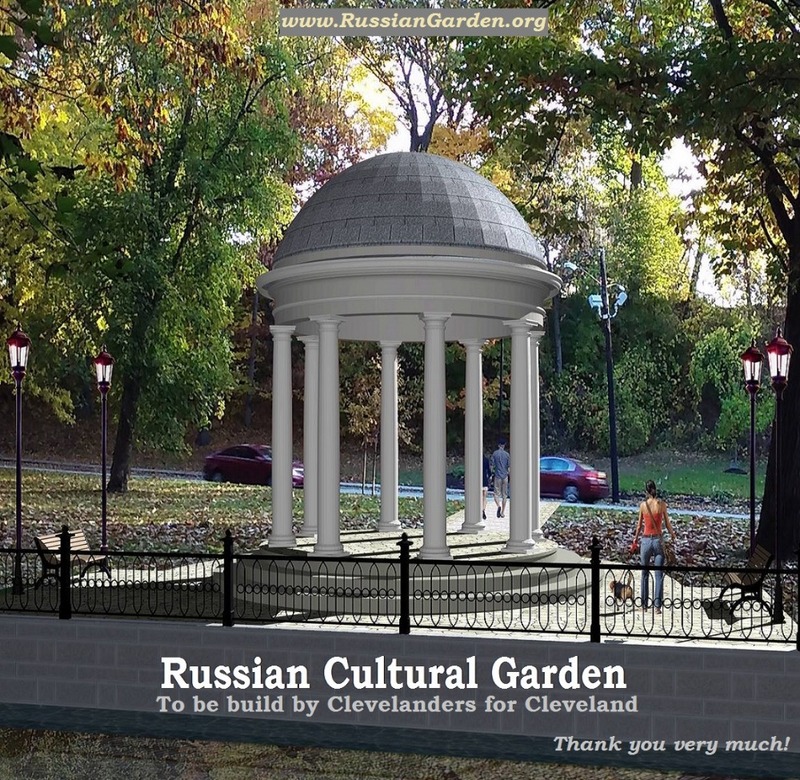 We work hard to proudly represent The Cleveland Cultural Gardens, The City of Cleveland, and Russian culture and heritage via the newly established Russian Cultural Garden, cultural events, and via the Gifted Youth Fund. for the Russian Cultural Garden is a classic one that resembles the best samples of the Russian Besedkas. 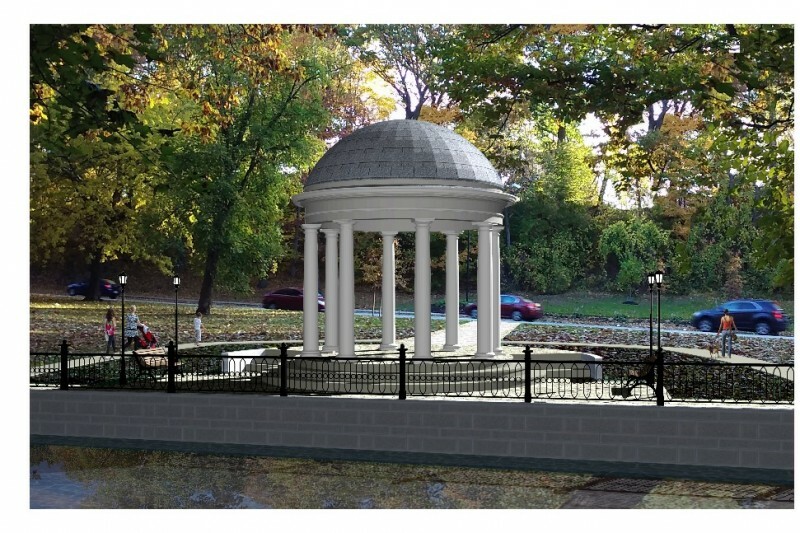 It will become a place to visit and take photos, also, it will serve as a stage for Grand Piano Concerts and other cultural performances in the Russian Garden. Plan is to place to the Besedka’s floor stone tiles with engraved names of the famous pieces of Russian literature dedicated to Russian landscapes, gardens and parks, like Вишневый Сад – the Cherry Orchard by Anton Chekhov or Темные Аллеи – the Dark Alleys by Ivan Bunin. 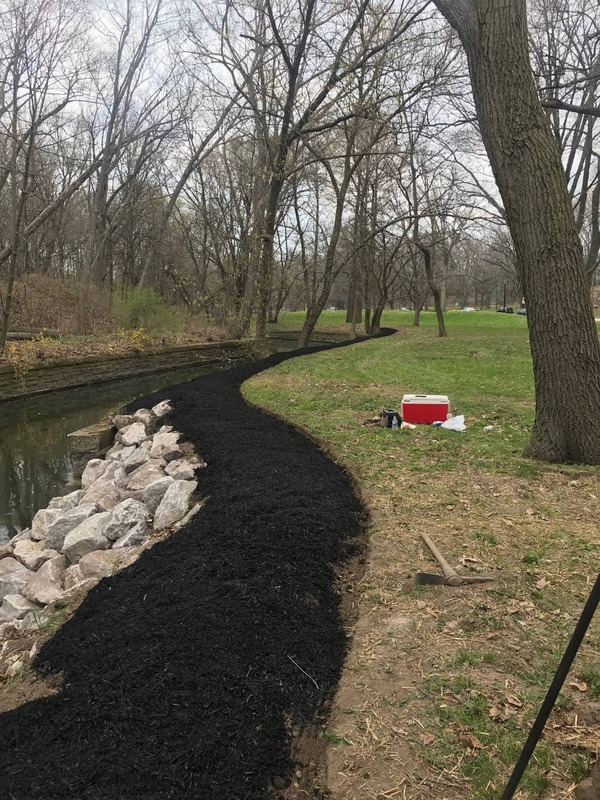 Besides the Besedka, the Russian Garden’s Phase 1 will include a main alley, fragment of the quay with cast iron railings for both safety and aesthetic purposes, decorative lights and memorial benches. Russian Cultural Garden is proud to bring a tradition of celebrating the Maslenitsa - Annual Russian pancake cook-off festival to Cleveland that quickly became one of the most popular Winter events in town. 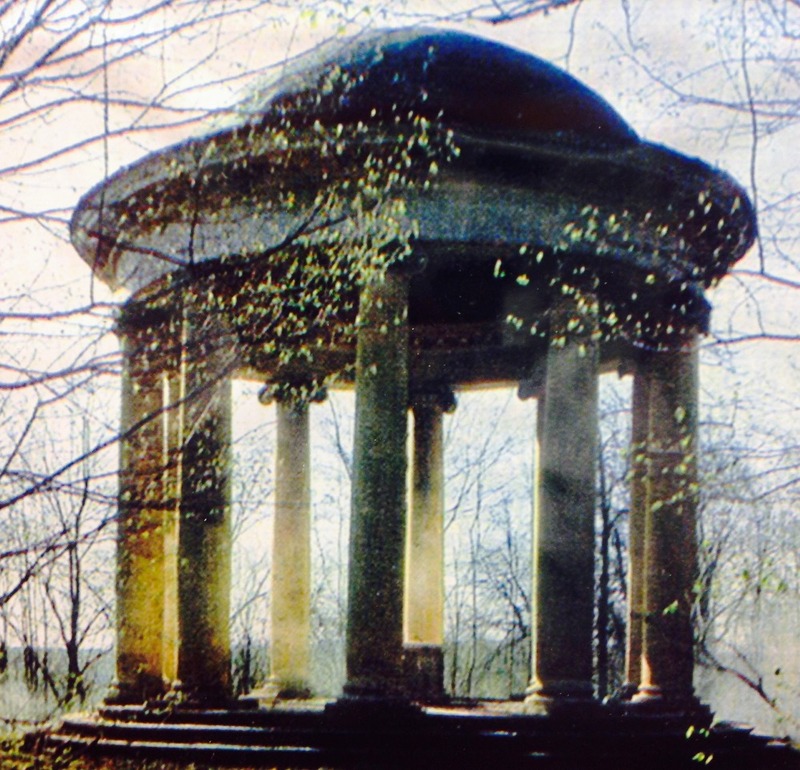 Since 2014, Russian Cultural Garden has been promoting the young musicians of Cleveland and local music teachers via Annual Piano Marathon in the Garden. In 2017, the new Gifted Youth Fund has been established to support young local musicians who are showing significant achievements in fields of instrumental music, vocal, and dancing and are volunteering for the Cleveland Cultural Gardens. The Russian Cultural Garden is located on the Western side of Martin Luther King Boulevard, north of Saint Clair Avenue, South of I-90, right between MLK and Doan Brook. 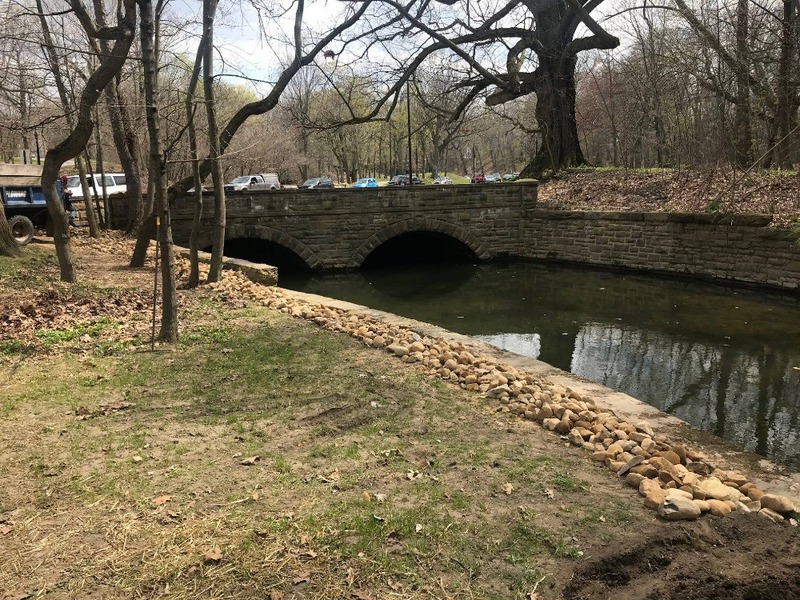 Beautiful stone bridge over the brook defines the southern border of our future park. Get ready for Sunday, May 6 grand Planting Party in the Russian Cultural Garden! It starts at 1 pm and will last till 4 pm or until all the flowers and trees are planted. Remember our Master plan that called for creating a long, beautiful quay along Doan Brook? It's coming! The first big step is done: flowerbed created and ready to be filled with beautiful flowers. 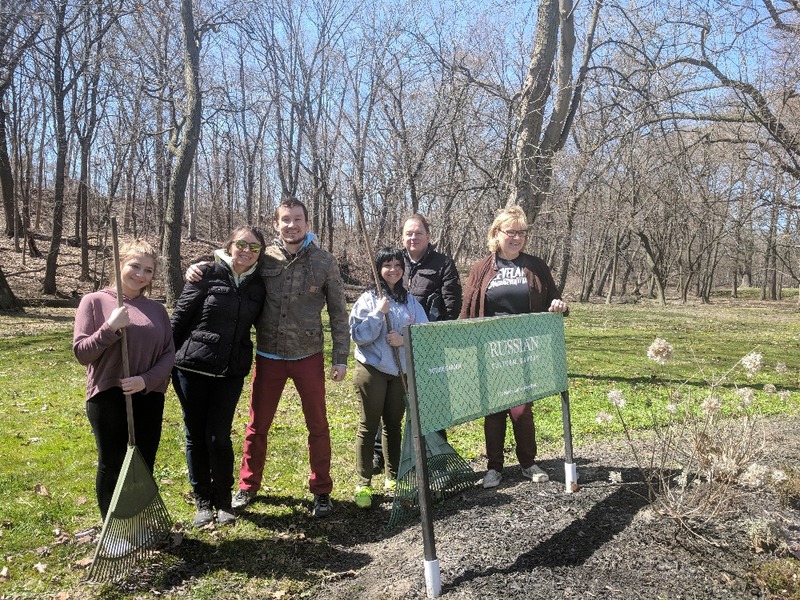 - come to the Garden this Sunday, May 6, between 1 pm and 4 pm , bring your tools and help to plant the flowers that are purchased and will be delivered. - adopt-a-flower: donate $20 or more to finance a purchase of the plant. - volunteer to water the plants afterwards. Please send us a message or comment if you want more details on what exactly to do if you want to help. 1. 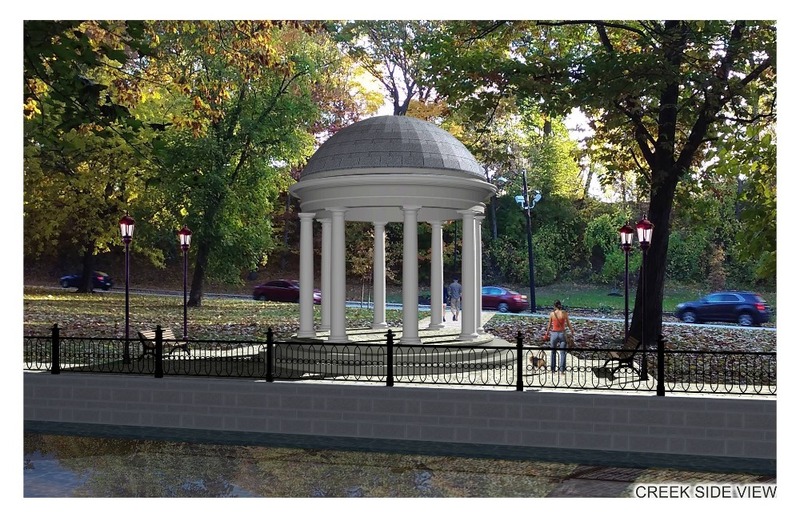 Before construction may begin on our installation, we will need to get a certificate of appropriateness from the City of Cleveland Landmarks Commission and then the City of Cleveland will issue to us a license agreement to enter the property to begin the work. The Commission will review our plans on May 19, 2016. Keep your fingers crossed :). 2. Holden Parks Trust approved our application for $10,000 grant - that's a gorgeous news! 3. We've got a commitment from three friends of our Garden to donate $30,000 to the Russian Cultural Garden upon receiving an approval of the Phase 1 plans and issuance of the license to start construction! That means that we need to raise less than $15,000 to get our project fully funded. Your help and support are very much needed and greatly appreciated. Thank you and let's do it together! After several years of hard work and fundraising we finally came to the point of construction of the first phase - Russian-style gazebo or "besedka". We plan to start in April of 2016. Please, help. Donate. The results will exceed your expectations. We are getting close to starting construction of Phase 1 in our Garden. 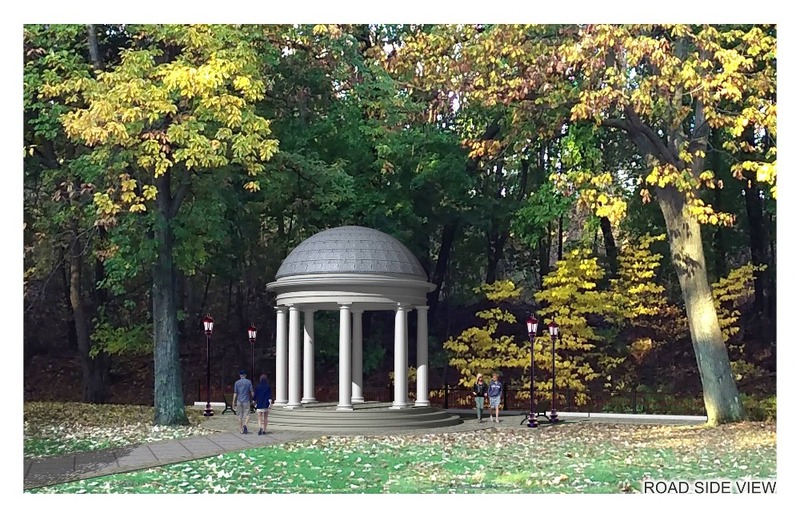 After long debates, the decision was made to build the central alley and our Russian Besedka - Rotunda that will serve as a gathering place and a stage for our music performances. Your contribution is vital for this project, and we are very grateful to all our donors and supporters. There is no such thing as a small donation. Any, literally any support is greatly appreciated. Let's start raising funds for our Besedka. Let the garden grow and bloom!